Find out how he's supporting the cause. The first player to wear Yeezy cleats in game, Houston Texans wide receiver DeAndre Hopkins is looking to make a bigger splash with today's choice of custom footwear. For the start of Domestic Violence Awareness Month, Hopkins is taking the field in pink adidas cleats to support the cause. 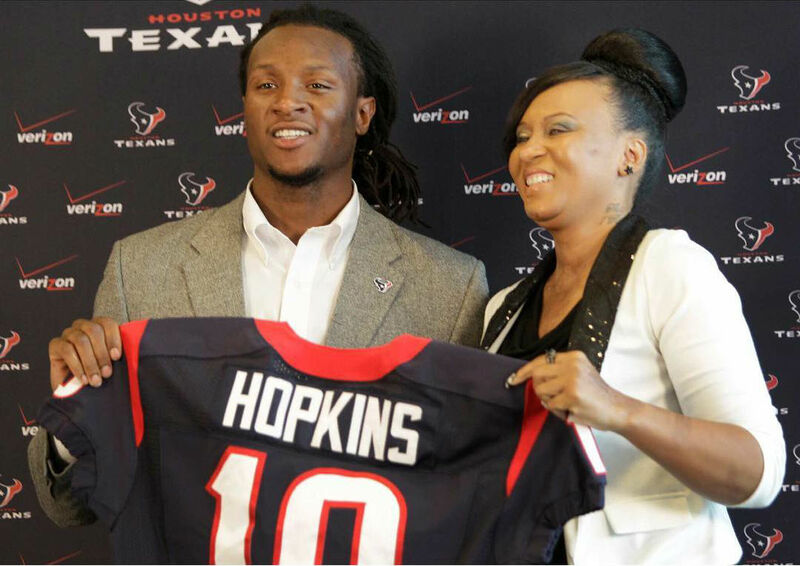 The issue is one that Hopkins holds close to his heart, as his mother Sabrina is a survivor of multiple abusive relationships, inspiring her son to be the man he is today. 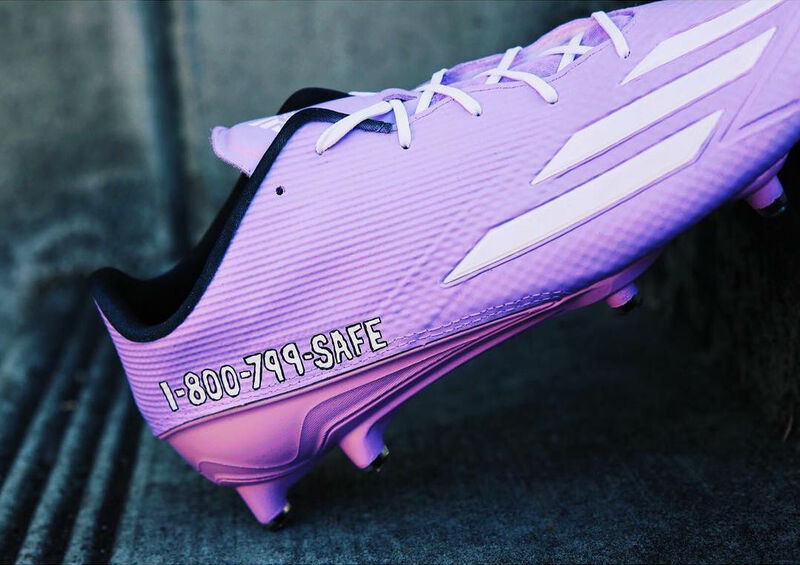 The left cleat bears the phrase, "End Domestic Violence," while the right displays the phone number of the National Domestic Violence Hotline. Additionally, Hopkins will be donating $1000 to the Aid to Victims of Domestic Abuse of Texas (AVDA) for every touchdown he scores this month and giving away game-worn gear.